So we are installing a pre finished floor for a buddy. He purchased it from Lumber Liquidators. 3/4" x 5" pre finished oak. LL calls it "Rustic" which I think is their out for ****ty milling tolerances. 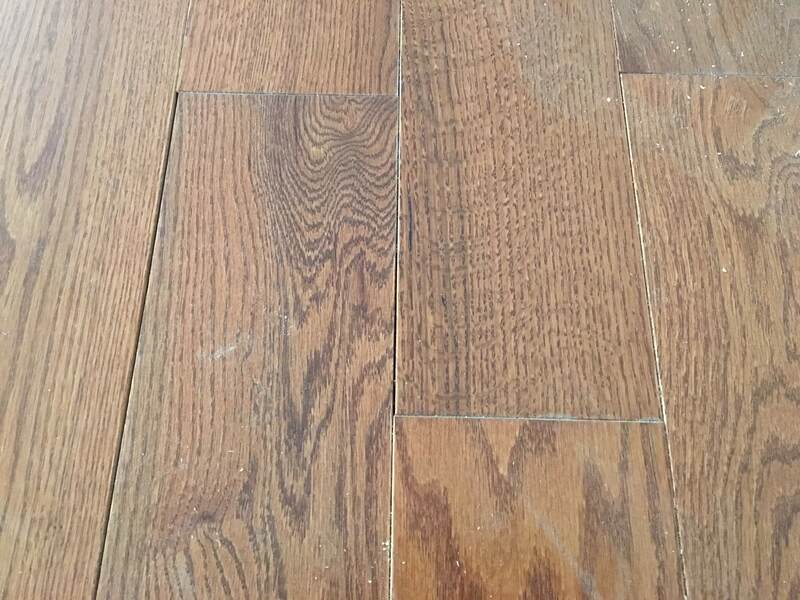 Doesn't look a bit like a rustic floor, what say you guys? The guys couldn't get it to go together well and finally figured out the boards ranged in width from 5" to 4 7/8" and lots of boards in any given box are tapered as well. The response from LL has been anything but good so far. Pretty much "We can send the flooring in for testing Wednesday to see if it meets specs. If it does, you can return any floor that hasn't been installed since it's been purchased in the last 30 days"
LL has one of the nicest showrooms and is a great place to send people to decide on a flooring. They also have one of the worst warranty reputations, which follows the fact that most everything needs to be warrantied. 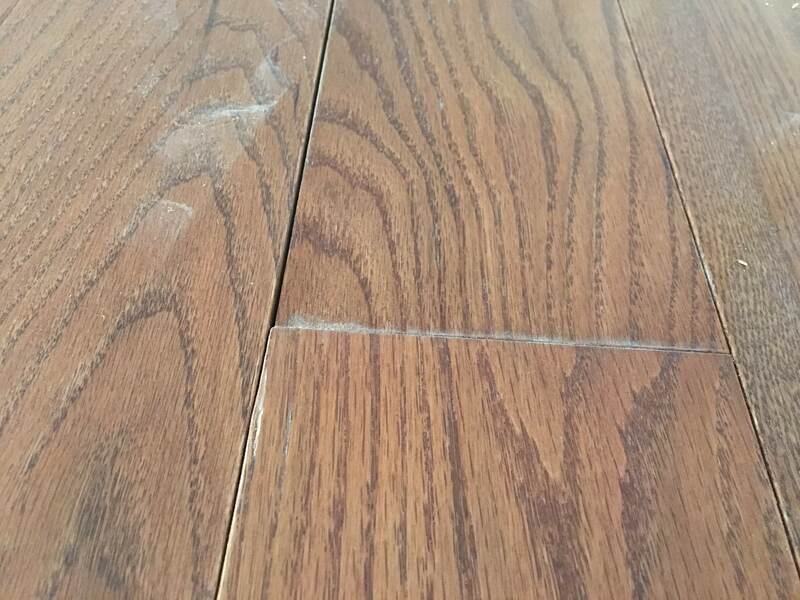 You may pay twice as much for a quality floor, but it is 3 times the savings long term when the floor is still functional. I've never heard anything great about their product or their warranties. Good luck man... That'd drive me nuts. I wouldn't buy anything tnere. Live and learn, I just hope you're getting paid, and this isn't a freebee. I've done one LL bamboo floor. It was actually pretty decent stuff as far as installation goes. Of course, I'm not a floor guy, so take it with a bit of salt. Not a big deal they just forgot to give you the 2 gallon bucket of matching wood filler. My Dad said the same thing. I just didn’t know it. That’s more his side of the business. Even if it fit perfectly, that's some ugly flooring. So how far did you get before stopping and conferring with the customer? Are you continuing forward, or ripping it out and putting a decent quality flooring down? What kind of stapler/nailer is this being installed with? Are they setting correctly? Are your guys pre-smacking the wood into place before firing the nailer? If the tolerance on the widths aren't good, then how it's nailed isn't going to make it better. There's a reason I don't do LL flooring, it's crap. Sorry your guys are going through this. What percentage of the planks has poor tolerances? We've had floors that had a small # of crap planks & we just sorted them out as we noticed them. They laid most of a smaller bedroom and hallway. My brother was leading the crew and called me a few times to talk about the issues but hadn't yet identified the mismatched board size as the source of his trouble. What we are doing from here is going to depend on how LL handles it. He can return all the floor that's not down since it's within 30 days regardless of if it meets their specs if/when they test it. It's being installed with a Primatech 16ga nailer. They are setting it correctly. In case you can't see from the pictures, you have two boards adjacent to each other of obvious different widths. Yes, they knock the boards into place before nailing. I was told half of a box. I didn't verify it for myself. This is the job I called and talked to you about in case you weren't aware. I used Bruce pre-finished on spec homes. That much or more of culls and shorts and knots and whatevers were thrown away on each home.